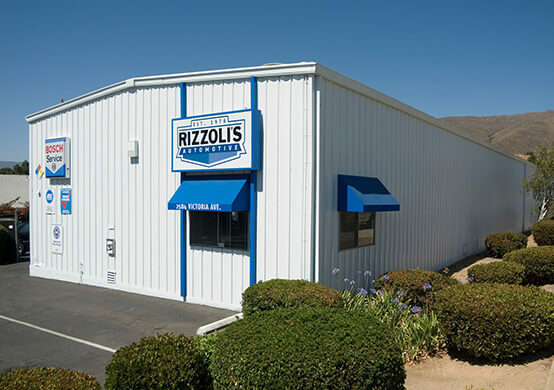 At Rizzoli’s Automotive, our talented mechanics are happy to take care of all of your CA Smog Check, Smog Test and Smog Repair needs in San Luis Obispo and Santa Maria. For vehicles registered in San Luis Obispo and Santa Barbara Counties, our Basic Smog Check is fine. Because we enjoy favorable air quality, this is a limited version of the smog test required in other areas of California. Rizzoli’s Automotive offers this smog at both the San Luis Obispo and Santa Maria locations. For vehicles registered in the high-density areas of California (ex: Los Angeles, San Francisco and San Joaquin Valley), the Enhanced Smog Check is required. This smog check requires the vehicle run on a dynamometer, or Dyno, as part of the smog inspection process. 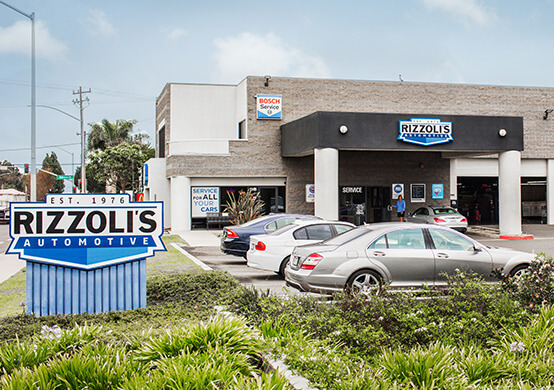 Rizzoli’s Automotive in SAN LUIS OBISPO is one of the few locations this in our area that offers the Dyno Smog Check. The Diesel Smog Check is required for diesel vehicles and trucks from 1998 and newer. Smog Checks for vehicles from 1995 and older require an additional Evaporative System Emissions Test. Available in both Basic and Enhanced (San Luis Obispo shop only) depending on where the vehicle is registered. Which Smog Check Do I Need? Not sure which smog your vehicle needs? Give us a call. Our knowledgeable staff can answer your questions and we can run your license plate number through the DMV portal. DMV decides which smog you need, not us! If your registration renewal form says “Take your vehicle to a: Gold Shield, Test Only or Star Station” or if your vehicle/truck is over 1 ton or oversized, Rizzoli’s Automotive cannot perform your smog. For your convenience, we work on an appointment basis. Same day smog appointments are often available, but fill up quickly – call for daily availability. Please allow about 2 hours for your smog appointment. Of course, our Courtesy Shuttle is available so you don’t have to wait. If your vehicle is 2000 model year or newer, our Santa Maria location can perform this smog inspection.